It is guaranteed that f(x) and g(x) do not intersect. That is, there is no real number r, such that f(r) = g(r). 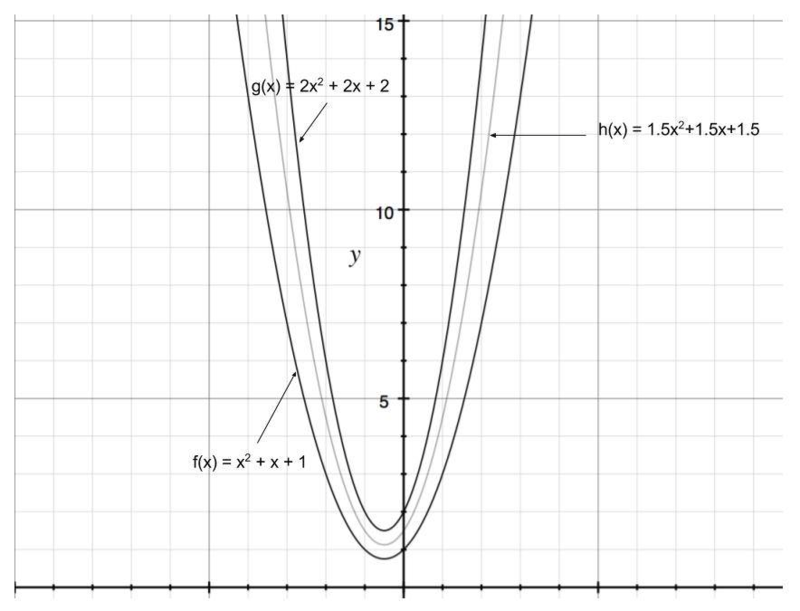 You need to find a quadratic polynomial h(x) = Px2 + Qx + R such that the sum of areas under the curves |f(x) - h(x)| and |g(x) - h(x)| is minimized between integer points x = L and x = R.
Output this minimized sum of the areas of curves |f(x) - h(x)| and |g(x) - h(x)| from x = L and x = R. Print this number as a fraction U/V, where U and V are positive integers and gcd( U, V) = 1. Each testcase is described by 3 lines. The first line contains 3 space-separated integers A, B and C.
The second line contains 3 space-separated integers D, E and F.
The third line contains 2 space-separated integers L and R.
For each testcase, print a single line containing the sum of areas as the required fraction. P, Q, R need to be real numbers.